Along with everyone else, I have talked extensively about that Insta-famous Réalisation leopard-print slip skirt this summer. It may seem like everyone has it, but based on how quickly it's sold out each of the three times the brand has stocked it, everyone is probably an exaggeration—for now. Just when I thought that nothing could match the popularity of the skirt, Réalisation went and released a new version of it, and it's even more '90s-inspired. 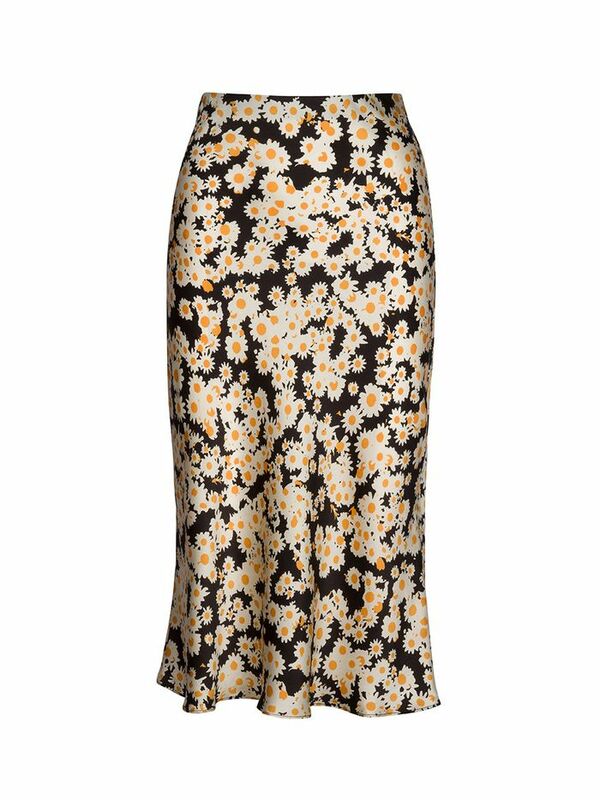 On Sunday night, an email popped up in my inbox announcing the release of the Naomi skirt in Flower Power, the same silky midi-length style but this time emblazoned with playful daisies. Needless to say, I stopped what I was doing to order it, and when I went back to look at it out of curiosity the next morning, it was 100% sold out… and I'm 100% glad that I ordered it as quickly as I did. Expect the new Flower Power skirt to start popping up on the coolest girls' Instagrams very soon, and expect it to sell out immediately each time it restocks. Check out the skirt and shop more of Réalisation's newest pieces below.